How Green Is Your Community? When looking for the perfect place to live, it’s important to be comfortable and happy. According to the National Association of Home Builders, four of the top 10 features that home builders are looking for in a new home focus on energy efficiency. Furthermore, 88% of home buyers explain that energy-efficiency is a top influencer when searching for a new home. When you’re looking for a new home community, what green and energy efficient features are important to you? We believe it’s how you live that matters, and communities that protect and restore the natural environment and conserve resources are important. 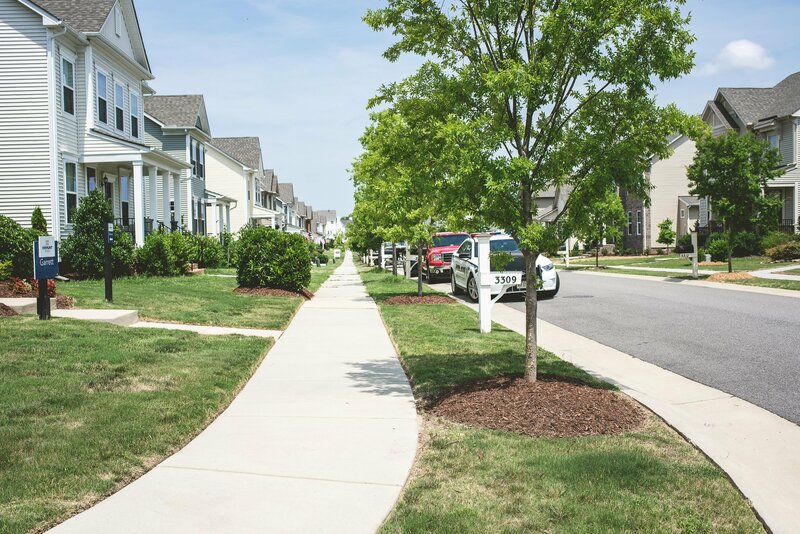 Each of our communities in Richmond and Williamsburg are built “green,” meaning that the building process includes green products and practices that create a home that is a smarter, safer, and a stronger choice for the environment. Because we take the environment into account when building our master-planned communities, our communities are more sustainable. For instance, care is taken to save as many well-established trees as possible. As a result, we focus on creating green spaces which include walking trails, community parks, open lawn areas, and more. We feel it’s important to include many natural elements into each community and neighborhood. In fact, Jonathan Ridout, Director of Development for HHHunt Communities, wrote an article in Professional Builder Magazine explaining that homebuyers are demanding green features in their homes and neighborhoods now more than ever. In addition to community amenities, we also strive to exceed standards for energy efficiency and water conservation. It is through these efforts that we are able to provide environmentally friendly and ecologically responsible new home communities for homeowners to enjoy. Recycling is offered at each HHHunt Community and homeowners can choose to include energy-efficient materials in their homes, such as Energy Star-Qualified Appliances, programmable thermostats, CFL Lighting, and more. Sustainable homes and communities will also save money on utility bills, up to $700 a year in savings! For example, HHHunt Homes’ efficient home furnaces operate 10% higher than the standard furnace to improve your comfort and help save you money. In addition, HHHunt Homes’ air conditioning system cools your home by using less electricity. What are you waiting for? 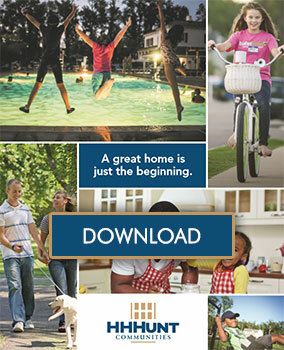 Visit one of our communities today to find your new home and start enjoying all the green features and amenities!